So now, Israel, give heed to the statutes and ordinances that I am teaching you to observe, so that you may live to enter and occupy the land that the LORD, the God of your ancestors, is giving you. 2 You must neither add anything to what I command you nor take away anything from it, but keep the commandments of the LORD your God with which I am charging you. 3 You have seen for yourselves what the LORD did with regard to the Baal of Peor– how the LORD your God destroyed from among you everyone who followed the Baal of Peor, 4 while those of you who held fast to the LORD your God are all alive today. 5 See, just as the LORD my God has charged me, I now teach you statutes and ordinances for you to observe in the land that you are about to enter and occupy. 6 You must observe them diligently, for this will show your wisdom and discernment to the peoples, who, when they hear all these statutes, will say, “Surely this great nation is a wise and discerning people!” 7 For what other great nation has a god so near to it as the LORD our God is whenever we call to him? 8 And what other great nation has statutes and ordinances as just as this entire law that I am setting before you today? 9 But take care and watch yourselves closely, so as neither to forget the things that your eyes have seen nor to let them slip from your mind all the days of your life; make them known to your children and your children’s children– 10 how you once stood before the LORD your God at Horeb, when the LORD said to me, “Assemble the people for me, and I will let them hear my words, so that they may learn to fear me as long as they live on the earth, and may teach their children so”; 11 you approached and stood at the foot of the mountain while the mountain was blazing up to the very heavens, shrouded in dark clouds. 12 Then the LORD spoke to you out of the fire. You heard the sound of words but saw no form; there was only a voice. 13 He declared to you his covenant, which he charged you to observe, that is, the ten commandments; and he wrote them on two stone tablets. 14 And the LORD charged me at that time to teach you statutes and ordinances for you to observe in the land that you are about to cross into and occupy. Any speech only has a life as long as it is remembered in the memory of the people who continue to remember and tell it. For the collection of books sometimes referred to as the Deuteronomic History (Deuteronomy, Joshua, Judges, 1 & 2 Samuel, 1 & 2 Kings) one of the recurring issues is that people turn aside from these words, or a later generation does evil in the eyes of the LORD. Without memory and re-telling the narrative and the commands of the law there will always be other narratives provided in the world. This was true in Israel’s time and it is true in our postmodern digitally pluralistic world. One of the interesting movements of this section of Deuteronomy is the movement from the narrative of the previous generation to that narrative being a part of the narrative of the new generation. Just as the people are reminded of what happened when some of their people began to worship the gods of Moab, this story appears in Numbers 25, and the people are charged to remember how fierce the LORD’s jealousy was in this instance, they are charged to remember that their LORD expects fidelity throughout the generations. In the narrative Moses takes upon himself the role as the teacher of the commandments of God one last time. In this long extended series of speeches Moses is trying to prepare this generation for a life of faithfulness. In their obedience they will be a place that the nations look to and they will stand apart from others. For the Deuteronomist the people of Israel are expected to be an example to the world around them. This is the covenant they have with the LORD, the blessing and the curse of their identity. They are to live with more access to the LORD but they also live under higher scrutiny than the nations that surround them. In the midst of the ignorance of the nations they are to know the LORD. By hearing this story the people also now participate in it. They no longer are just those who are hearing about the event of the Ten Commandments (or ten words) being given at Horeb (or Sinai) but now they are there. Physically they were not there, that generation has passed away, that was the generation that wandered in the wilderness and never reached the promised land, but in this speech this new generation becomes an extension of the old. They cannot resort to saying they didn’t see or didn’t hear. The telling of the story from generation to generation will be a way of living that story. Even though they may not have been there to see, later generations will be gathered among those who did see and will be judged like those who did hear. One of the critical focuses of Deuteronomy is the telling of the tradition and the stories from generation to generation so that they, as a people, may live in the land. On a critical edge the Deuteronomist also sees the loss of the land through the lens of the failure of Israel to hold fast to the words and ordinances. 15 Since you saw no form when the LORD spoke to you at Horeb out of the fire, take care and watch yourselves closely, 16 so that you do not act corruptly by making an idol for yourselves, in the form of any figure– the likeness of male or female, 17 the likeness of any animal that is on the earth, the likeness of any winged bird that flies in the air, 18 the likeness of anything that creeps on the ground, the likeness of any fish that is in the water under the earth. 19 And when you look up to the heavens and see the sun, the moon, and the stars, all the host of heaven, do not be led astray and bow down to them and serve them, things that the LORD your God has allotted to all the peoples everywhere under heaven. 20 But the LORD has taken you and brought you out of the iron-smelter, out of Egypt, to become a people of his very own possession, as you are now. 25 When you have had children and children’s children, and become complacent in the land, if you act corruptly by making an idol in the form of anything, thus doing what is evil in the sight of the LORD your God, and provoking him to anger, 26 I call heaven and earth to witness against you today that you will soon utterly perish from the land that you are crossing the Jordan to occupy; you will not live long on it, but will be utterly destroyed. 27 The LORD will scatter you among the peoples; only a few of you will be left among the nations where the LORD will lead you. 28 There you will serve other gods made by human hands, objects of wood and stone that neither see, nor hear, nor eat, nor smell. 29 From there you will seek the LORD your God, and you will find him if you search after him with all your heart and soul. 30 In your distress, when all these things have happened to you in time to come, you will return to the LORD your God and heed him. 31 Because the LORD your God is a merciful God, he will neither abandon you nor destroy you; he will not forget the covenant with your ancestors that he swore to them. In a world full of images the Hebrew people had a narrative, a covenant and a law. There is a level of unknown with the God of Israel. The divine form is not to be locked down, the divine name is not to be used, there may be visual aspects to the way in which God has met the people but those representations do not represent the form of God. They were a story formed people, they had words from God and words about God but somehow to lock God into any sort of likeness was to fall into idolatry. Perhaps it is the natural inclination to see in the objects of the world the aspects of the divine and to assign the creation as the image of the creator. In our own age which has become much more visual and where digital images continually are placed before us and can tell us who we are to be and how we are to live the people of God are called again to rely more on our ears telling us specifically this narrative and this story rather than our eyes which are easily led astray to any number of images. The God of Israel has a special relationship with God’s people, what God allows of others is not allowed to them. The nations around them will have their images and their relationships with these gods in their own ways, but Israel is to be different. They are a people who lives out of their covenant with the imageless God. They are to be separate and obedient and that obedience does not come easily. There will be many images in the world around them, other narratives they will hear, and other people whose ways they admire. Just as the creation narrative in Genesis 1 can talk about God speaking and the world coming into being, they are a speech formed people. Their lives are to be ordered by the words about God, words that can never adequately describe or tame their LORD. It is a risky strangeness to the God portrayed in Deuteronomy, a God who is never too familiar. A God who is good but also jealous for God’s people, a God who desires to bless but is willing to curse, a merciful God who is willing to destroy. It is the God of Exodus and exile who sees the people through their faithfulness and unfaithfulness, and while human beings may be formed in the image of God they cannot claim to capture the image of God. We live in an age where image is everything. If we are truly in a post-literate society where people no longer pay attention to written and spoken text but instead are swept up in the unending stream of digital images that portray reality then perhaps this is one of the central challenges for Judaism, Christianity and Islam. Christianity has wrestled with the prohibition of images since its beginnings and the iconoclastic controversy seems to present itself each time Christianity has to re-imagine itself in a new age and time. The wisdom of the ancient church was that if God could present Godself in the person of Jesus, as Christians believe, then these images could be used to help tell the story of the God who met us in this way. Yet the images were to be connected with the narrative. With time and distance there is always the danger of the image becoming isolated from the story, for example the loss of the Jewish nature of Jesus’ identity for hundreds of years, but there the danger that the story becomes lost as well. 32 For ask now about former ages, long before your own, ever since the day that God created human beings on the earth; ask from one end of heaven to the other: has anything so great as this ever happened or has its like ever been heard of? 33 Has any people ever heard the voice of a god speaking out of a fire, as you have heard, and lived? 34 Or has any god ever attempted to go and take a nation for himself from the midst of another nation, by trials, by signs and wonders, by war, by a mighty hand and an outstretched arm, and by terrifying displays of power, as the LORD your God did for you in Egypt before your very eyes? 35 To you it was shown so that you would acknowledge that the LORD is God; there is no other besides him. 36 From heaven he made you hear his voice to discipline you. On earth he showed you his great fire, while you heard his words coming out of the fire. 37 And because he loved your ancestors, he chose their descendants after them. He brought you out of Egypt with his own presence, by his great power, 38 driving out before you nations greater and mightier than yourselves, to bring you in, giving you their land for a possession, as it is still today. 39 So acknowledge today and take to heart that the LORD is God in heaven above and on the earth beneath; there is no other. 40 Keep his statutes and his commandments, which I am commanding you today for your own well-being and that of your descendants after you, so that you may long remain in the land that the LORD your God is giving you for all time. In the speech Moses is portrayed calling the people back to the uniqueness of their relationship with the LORD and more directly to the uniqueness of the LORD. Unlike most of the peoples of the ancient world who saw their gods as tied to their tribes, nations or lands the Hebrew faith is in a God who creates the whole earth and has a unique relationship with Israel. There is a diversity of views of what to think of gods of the other nations, whether they are real or not, but as Deanna Thompson insightfully states, “Deuteronomy is the first biblical book to state explicitly that “there is no other” besides the God of Israel (4:35, 39).” (Thompson, 2014, p. 47) The people are linked back to the generations that experienced God’s taking them out of Egypt, going with them through the exile, presenting them the Ten Commandments at Horeb and setting them aside as a people. 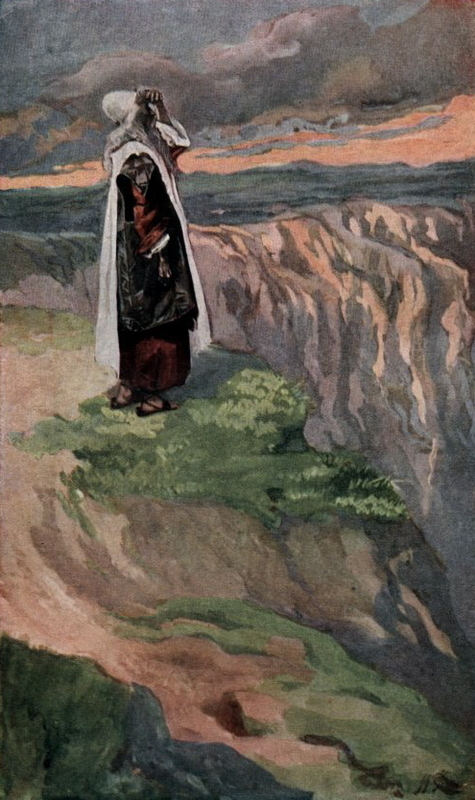 In this closing of this speech Moses again calls them back to remember that their relationship with the LORD, the God of Israel is both unique and decisive. They are not to acknowledge any other God and just as their ancestors heard the words of God they are to continually go back to these statutes and commandments which make them who they are. 41 Then Moses set apart on the east side of the Jordan three cities 42 to which a homicide could flee, someone who unintentionally kills another person, the two not having been at enmity before; the homicide could flee to one of these cities and live: 43 Bezer in the wilderness on the tableland belonging to the Reubenites, Ramoth in Gilead belonging to the Gadites, and Golan in Bashan belonging to the Manassites. 44 This is the law that Moses set before the Israelites. 45 These are the decrees and the statutes and ordinances that Moses spoke to the Israelites when they had come out of Egypt, 46 beyond the Jordan in the valley opposite Beth-peor, in the land of King Sihon of the Amorites, who reigned at Heshbon, whom Moses and the Israelites defeated when they came out of Egypt. 47 They occupied his land and the land of King Og of Bashan, the two kings of the Amorites on the eastern side of the Jordan: 48 from Aroer, which is on the edge of the Wadi Arnon, as far as Mount Sirion (that is, Hermon), 49 together with all the Arabah on the east side of the Jordan as far as the Sea of the Arabah, under the slopes of Pisgah. The speech ends and we transition to the closing business before moving on to the larger speech to follow. Deuteronomy narrates the setting aside of Bezer, Ramoth and Golan as cities for refuge, also narrated in Numbers 35: 9-14 which goes back to the appeal for the sort of justice the people are to live under. They are to be a people where vengeance is not supreme and the people and the judges are to act in accordance with justice even for those at the margin. In the event of a homicide there are places of refuge where the accused can go to and seek refuge until the evidence can be heard. The simplicity of an eye for an eye and a tooth for a tooth was never to be the way of the Jewish people. They were to be a people of justice and of God’s law. Finally we hear the preparation for what is to come and a brief narration of what was before. The decrees and statutes find their authority in the God who has rescued them from Egypt, journeyed with them through the exile and in the eyes of the people who were before Moses had led them into the land they currently occupied past giants and walled cities. In what is to come the people are to listen, to hear and to obey these final words that Moses will speak to them prior to their journey across the Jordan under Joshua and their residence in the Promised Land. This entry was posted in Deuteronomy and tagged Covenant, Deuteronomy 4, Idols, Images. Bookmark the permalink.